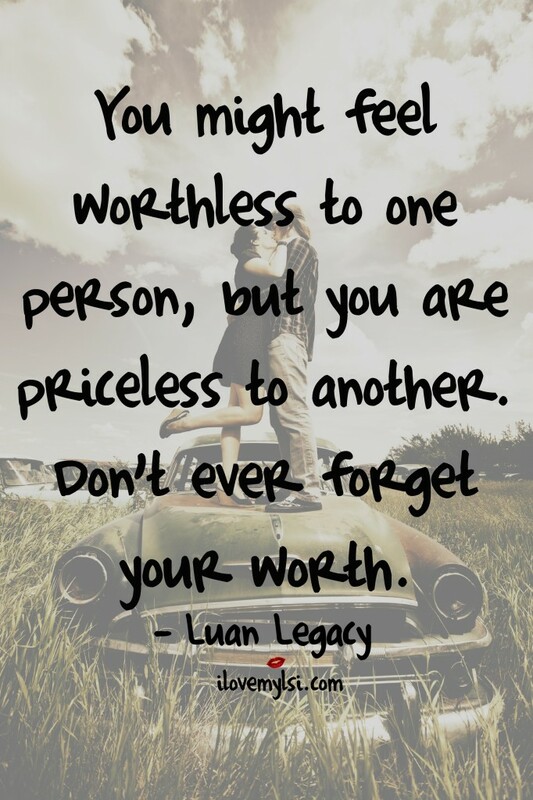 You might feel worthless to one person, but you are priceless to another. Don’t ever forget your worth. You shouldn’t place a value on yourself for you be greatly unappreciated not to receive it when you expect it. The best things in life take patience as well as understanding that its worth will far exceed the effort put in to what matters in your life.